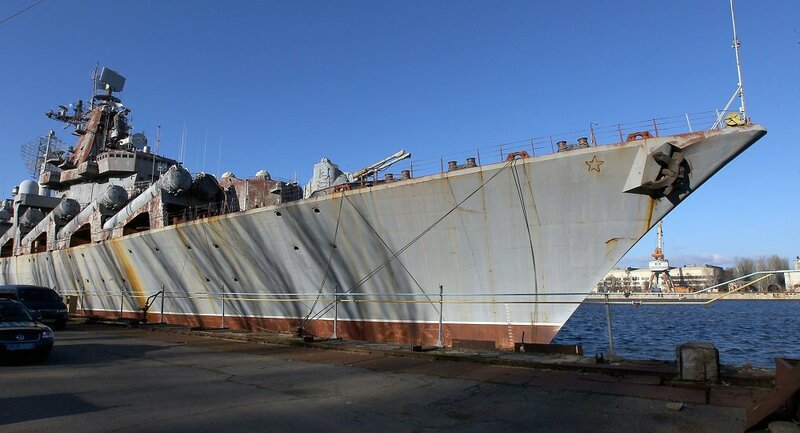 Ukrainian President Petro Poroshenko has signed a decree to scrap the unfinished Soviet-era missile cruiser 'Ukrayina' ('Ukraine'), which has been sitting for nearly thirty years at the docks of a shipyard in the port city of Mykolaiv, local media reports. Observers suggest that the decision is highly symbolic. On Friday, Mikolaiv regional state administration deputy head Vyacheslav Bon met with workers at the 61 Communards Shipbuilding Yard, a massive Soviet-era shipyard which has faced hard times in recent years. 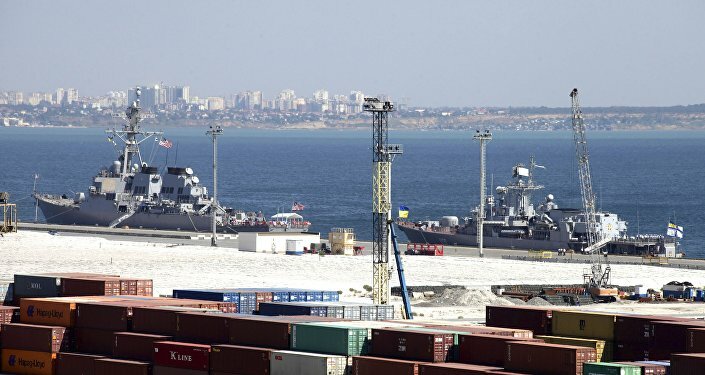 Bon informed workers about a decree by the Ukrainian President to demilitarize and sell off the missile cruiser Ukrayina. The decision has already been agreed by the Defense Ministry and the Ukroboronprom, Ukraine's state-owned defense concern, and is now awaiting the approval of the Finance and Justice ministries, he said. "You have the cruiser Ukrayina sitting in your docks. A presidential decree on its demilitarization exists. If your remove the weapons and sell what's left, that will be enough to pay your back wages, and three times that left over," Bon said. "The ship has a frame and turbine engines, they are in demand," he added. As of March 1, workers at the 61 Communards Shipbuilding Yard are owed 48,646,000 hryvnia, equivalent to about $1.8 million US, in back pay. Workers have been protesting, demanding to be paid what's owed to them. Earlier, workers had asked the state administration to try to convince the Defense Ministry to get the necessary funds for the Ukrayina's upkeep. Launched in 1990, just before to the collapse of the Soviet Union, the Ukrayina was left unfinished, estimated at 75-95% completion, and needing about $30 million in additional investment to be completed. Since then, Ukraine has held negotiations with the interested parties of Russia, China and India, although interest eventually went cold. In 2010, the Ukrainian parliament stripped the ship of its proud name, but failed to rename it. The Ukrayina is a Slava-class cruiser, official classification Project 1164 Atlant, a late Soviet-era project developed in the 1980s. The warship class, nicknamed 'Aircraft Carrier Killer' due to its deadly arsenal, featured advanced radar, sonar and fire control systems, P-500 Bazalt anti-ship missiles, S-300F and OSA-M SAMs, 10 torpedo tubes, 2 RBU-6000 anti-sub mortars, 36 close-in AK-630s, and the ability to carry a Kamov Ka-27 helicopter. Ten ships were planned, with three completed, with the Ukrayina's construction halted shortly before completion after the Soviet collapse. 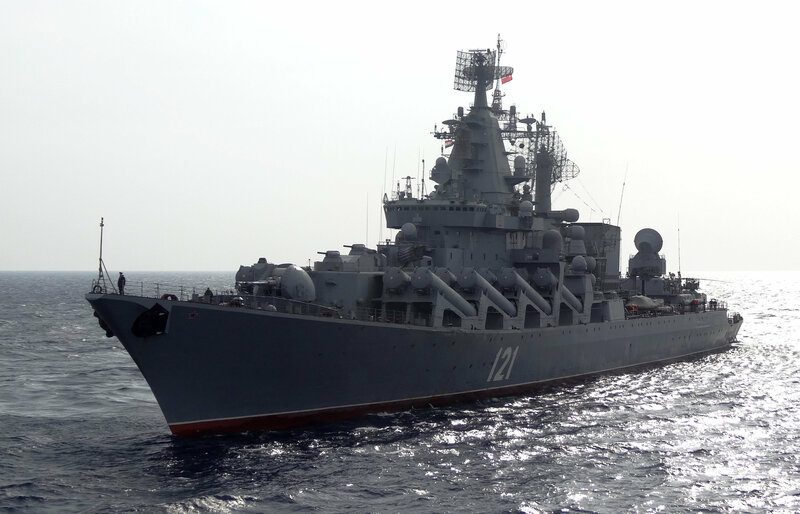 The three completed ships, the Moskva, Marshal Ustinov and Varyag remain in service in the Russian Navy, in the Baltic Sea, Northern Fleet and Pacific Fleet, respectively. All three ships have seen comprehensive overhauls and modernization. 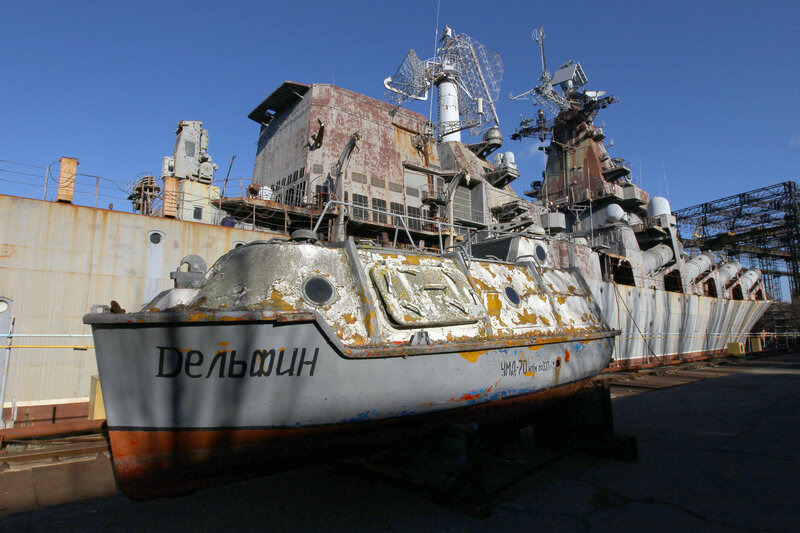 Mikolaiv's shipyards, already on life support since the collapse of the Soviet Union (before that they were building everything from frigates to aircraft carriers) have been equally hard hit by the rupture in military-technical cooperation between Ukraine and Russia in recent years. Since the Maidan coup d'état of February 2014, many joint projects have been either frozen or cancelled altogether, with Russia also forced to cancel orders of Ukrainian parts and components, such as Mikolaiv's famous diesel turbine engines.